Guinness, Os. 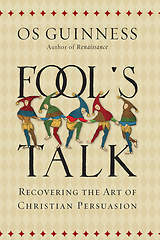 Fool’s Talk: Recovering the Art of Christian Persuasion (Kindle Locations 153-156). InterVarsity Press. Kindle Edition.